How Far is Gaursons Krishn Villas? KrishnVilas, the luxury villas will surely take you back to the golden age of Lord Krishna, where music and art charmed the world, where culture and devotion cleansed the soul. 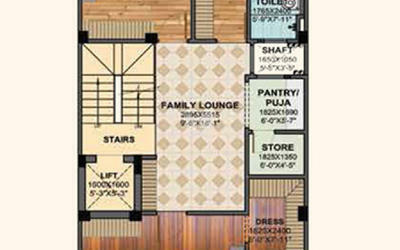 These 3, 4 & 5 BHK Independent Villas are peaceful yet lively. 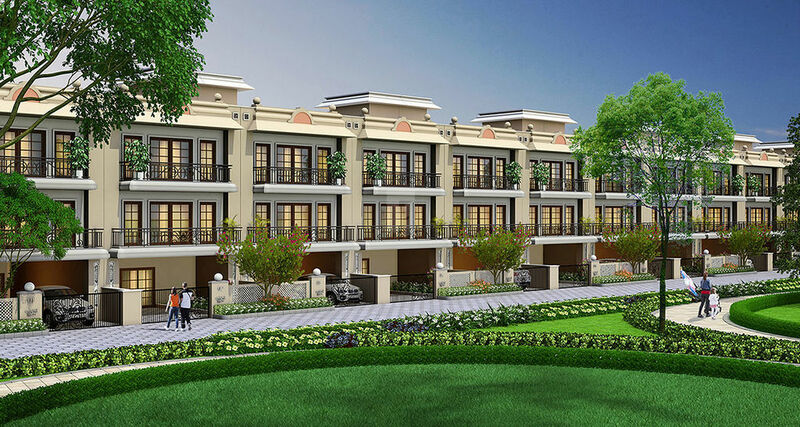 These delightful independent villas are located at Yamuna Expressway within the integrated township - Gaur Yamuna City. Yamuna Expressway is the hottest real estate destination due to the upcoming Noida International Airport. The airport will not only give a push to Yamuna Expressway but is also attracting business investment from national as well as international players. KrishnVilas is true luxury soaked in the theme of Lord Krishna. 600 x 600 vitrified tile finish in parking. Vitrified 600 x 600 tiles in rooms. Ceramic tiles in toilet, store and servant room. Front lawn – colored pavers or grass pavers or grass lawn. Vitrified 600 x 600 tiles in drawing, dining and kitchen with design. Wooden finished tile flooring in bedrooms and dress. Ceramic tiles in toilets and balconies. Vitrified 600 x 600 tiles in lobby. Wooden finished tile flooring in Master and other bedrooms and dress. Ceramic tiles in toilets, store and balconies. Ceramic 300 x 300 tiles. POP/Gypsum Plaster finished walls with O.B.D paint. 2'-0” dado above the working top and 4'-6” from the finished floor level on remaining walls by ceramic tiles. Ceramic tiles on wall up to 7'-0” height. Exhaust fan in each toilet. External Main door: Wooden paneled finished door . External doors and windows: Aluminum/UPVC with glass. Internal Doors: laminated Flush door with wooden frame. One tube light/CFL light and concealed LED panel in drawing room. Intercom facilities for communication with lobby, main gate and other Villas at one point. M.S railing as per design. Colored paint scheme with moldings as detail. 5'-0” high boundary wall with M.S Main gate as design.